How much does the Iowa Online Hunter Education & Handgun Safety Training Course cost? The Iowa Online Hunter Education & Handgun Safety Training Course fee is $49.95. Do you need Iowa Hunter and Handgun education? You need education if you are 21 years or older and will be carrying a concealed handgun. You must be at least 21 years old to take this online course. Do I have to be a resident to take the Iowa Online Hunter Education & Handgun Safety Training Course? You must be a resident of Iowa to take the online course. Is the Iowa Online Hunter Education & Handgun Safety Training Course approved by the Iowa Department of Natural Resources? 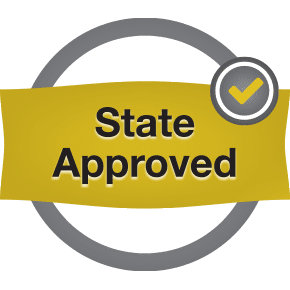 The Iowa Online Hunter Education & Handgun Safety Training Course is approved and accepted by the Iowa Department of Natural Resources. The Final Exam is the exam you take at the end of the online course. You must score at least 75% on the exam to pass. You have unlimited attempts to pass the exam. If you don’t complete the exam in one session, don’t worry. When you log in later, you will be taken to the first unanswered question of the exam. How do I get my Iowa Permit to Carry Weapons? Study and pass the $49.95 course. Throughout the Iowa Online Hunter Education & Handgun Safety Training Course, you’ll be tested on what you’ve learned. 2. Print your Combo Hunter & Concealed Carry Education Voucher. After successfully completing the online course, you’ll be able to immediately print out your Combo Hunter & Concealed Carry Education Voucher. 3. Apply for your Iowa Permit to Carry Weapons. File the required application with the appropriate authorities and include your Combo Hunter & Concealed Carry Education Voucher. Once you pay for and pass the online course, you will be able to immediately print out the Combo Hunter & Concealed Carry Education Voucher. This is your proof of online course completion. You can print the Combo Hunter & Concealed Carry Education Voucher right then and/or request that a PDF be emailed to you. What is the permanent Iowa Permit to Carry Weapons? 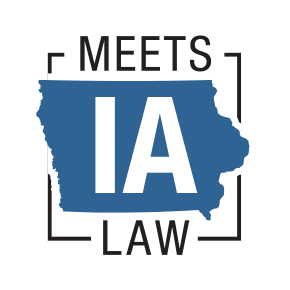 The Iowa Permit to Carry Weapons is proof that you have met all the requirements to legally carry a concealed handgun in Iowa. How do I replace my handgun permit or hunter education certificate if I’ve lost it or it has been damaged? To replace a lost or destroyed Iowa Permit to Carry Weapons, contact the authority who issued your original permit. To replace a lost or destroyed Hunter Education Certificate, you can order one at https://ilostmycard.com/.